Selwood’s involvement with customers doesn’t end when we sell a pump – that’s just the start of the relationship. No matter where in the world a customer may be, Selwood’s network of strategic partners and dedicated teams of experts ensure that our quality pumps keep performing at their best year after year. It is this philosophy which has seen Selwood enjoy a long-standing partnership with the national oil company of Ecuador. Petroecuador took delivery of 193 Selwood PD75 and S150 pumps in 2008 for use at its Esmeraldas Refinery, which produces more than 100,000 barrels of oil a day. After several years of continuous and trouble-free operation, the time came for a complete maintenance overhaul, which involves stripping down and rebuilding the pumps. The refinery’s location, a lack of repair space and equipment, the mobility of Petroecuador’s staff and the need to avoid disruption to daily operations all presented challenges. Selwood worked in close partnership with Selwood’s local distributor, Corena, to ensure the operation could be carried out in an on-site workshop. Specialists from Selwood’s UK Head Office flew to Ecuador to fully train Corena’s mechanics in all aspects of servicing and maintenance. 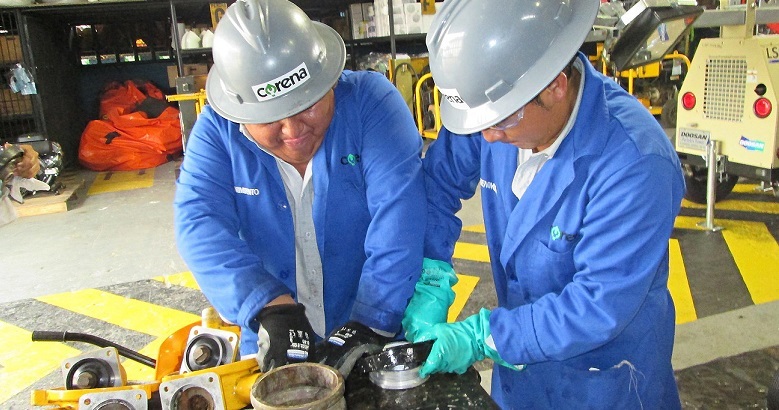 Corena was then able to collect the pumps, rebuild them to the highest standards using original Selwood repair parts, and return them to Petroecuador with a very short turnaround time. This approach avoided the need to take the pumps too far away from the oil fields, minimised disruption and ensured that trained staff are always on hand to deal with any problems.